Unfiled tax returns are a serious offense in the eyes of the IRS, and can lead to mounting debt as back taxes and fines pile up. The IRS will not stop the collections process until all unfiled tax returns have been filed, and you have paid back all money due. If you continue to fail to file your taxes, the IRS will place a levy on your wages. If you have unfiled tax returns, the best way to stay out of trouble with the IRS is to immediately file your back taxes. 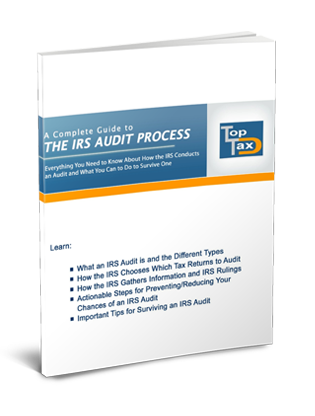 Think that the IRS doesn't notice your unfiled tax returns? Think again. Even if it's been years since the unfiled taxes, the IRS can notify you at any time that they know and are ready to aggressively pursue back tax payments. When you fail to act before the IRS does, they will file a substitute for return (SFR) for you. An SFR is based on the IRS's best guess of your income, and will have penalties and fines tacked onto your tax bill. There is no chance for deductions on an SFR, so it makes sense to file your back taxes before the IRS has a chance to file an SFR for you. Unfiled tax returns have criminal consequences, as well. If you fail to file, you can be sure that the IRS will eventually criminally prosecute you. Claiming an inability to pay for your tax bill is unacceptable to the IRS; they will assess fines and penalties on top of what you originally owed if you fail to file your tax return. Were you owed a refund in a year that you had unfiled tax returns? After the three year statute of limitations, the U.S. Treasury retains ownership of your refund, and overpayments cannot be applied to other years. In other words, failing to file taxes will never make your situation better, only worse. "[They were] very helpful and professional in answering all of my questions. Thanks Top Tax!"